How we buy at home, says a lot about how we should sell at work. The way we buy a house, car, or even car insurance, in many ways mirrors the changes in how our prospects buy. The implication is that by examining how we buy, we can better understand how our customer buy. It helps us to sell more successfully by thinking like a buyer. 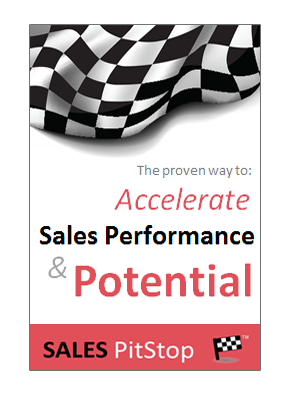 A key success factor for the salesperson in this the age of the demanding buyer is a ability to not just understand but, also to empathize with the buyer. Developing this understanding is the objective of Buyer Insights, but as sellers it is important to pull on our first hand experience of buying so that we can internalize what we are learning about modern buying. Hence the importance of examining our own personal buying experiences (as in the example below), as well as the buying knowledge and experience of our organizations (examined in a separate article). While our main area of speciality is B2B, we are often asked to apply our frameworks for understanding corporate buyers to consumers. 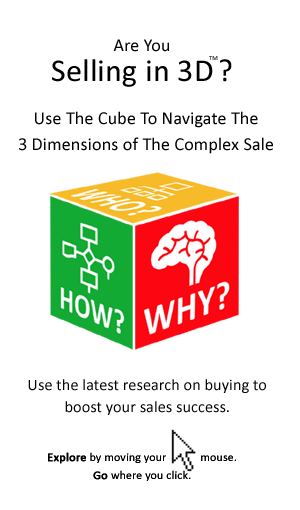 In particular, our Buying in 3D framework (that is the How, Why and Who framework). Can Your B2C Buying Explain B2B Buying? Why is this relevant to you? Well, as salespeople we sometimes struggle to understand the modern buyer to whom we sell. We get frustrated at the length of time they take to decide, the number of alternative supplier quotes they seek, the level of information that they want, etc. In most cases our frustration is a little bit unreasonable however. We looked to how we make important (and even not so important) buying decisions as consumers we would see parallels between our behaviors and those of the professional buyer. How you buy as a consumer says a lot about modern buying and in particular the increased sophistication of the modern buyer. To prove this point here is an example of the 3D Buying Framework applied to understanding the buying decision for motor insurance. By way of background a new market entrant wanted to understand how best to market to its particular target customer profile. The company’s marketing strategy – the proportion of spend on online, versus traditional media, the message, etc. was very much dependent on just how those customers go about buying insurance. How Do You Buy Motor Insurance? With this in mind the organisation set about surveying consumers and they used our framework to decide what information to gather. While we cannot share the results with you, we can share the questions and show how the relate to the How, Why and Who of Buying. 10. When you were shopping for insurance, did you happen to mention, discuss with or involve anybody else (e.g. colleague, spouse, parent, etc.)? If yes, approx. how many people? If you answer the above questions in your own mind you will probably find that if based on the time spent shopping, the number of sources used and the number of suppliers contacted, the decision regarding motor insurance can be a surprisingly complex one. Indeed, so much so that insurers have come to rely on many customers simply taking the easy option and automatically renewing with their existing provider. So, if you go to all that trouble in spending a few hundred dollars, or euro on motor insurance, why do you expect your prospects to take short-cuts when it comes to buying your solution?